This Item Has Been Added To Your Order! 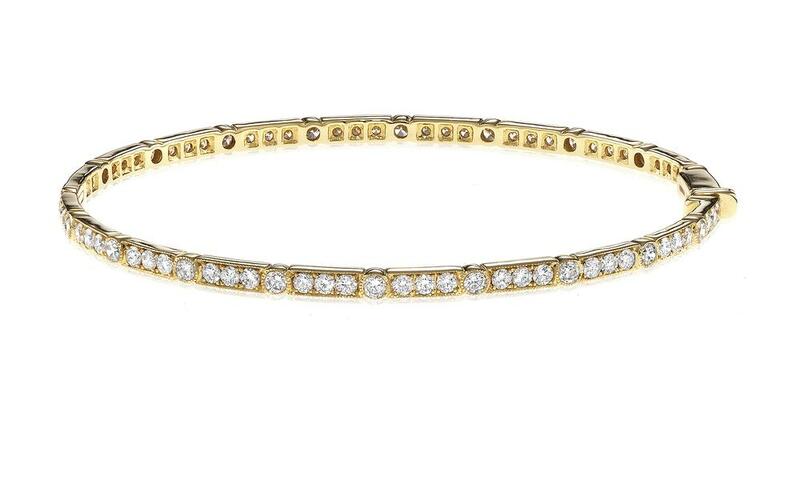 This galmorous bangle is available in 14K Yellow Gold. There are 78 round diamonds with a total carat weight of 2.70ct set in a Pave setting.